We take great pride in providing quality service in an environment that supports your family and wishes of your loved one. We take great pride in the functionality and appearance of our facility, and are constantly updating and improving our premises and equipment to meet the highest professional standards. Several remodels and expansions have created a state of the art facility with a warm, home-like decor that helps put families at ease. 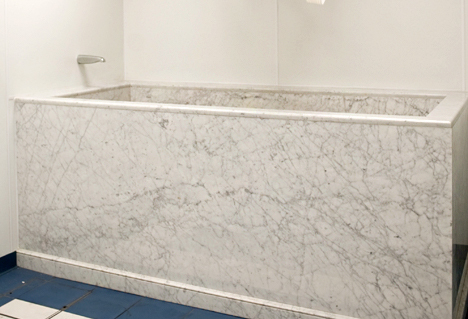 The flexibility of our layout allows us to accommodate a broad range of services. We can support everything from large assemblies to the most intimate gatherings, and are open to providing more personal arrangements to suit your needs and reflect the life of your loved one. 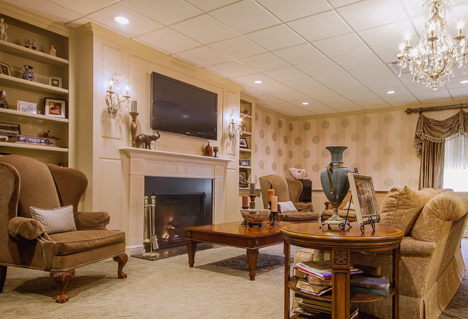 Our visitation rooms have been tastefully decorated to ensure comfort and serenity. Designed to be flexible in their use, our rooms can accommodate everything from a traditional visitation or contemporary memorial to a private family service. 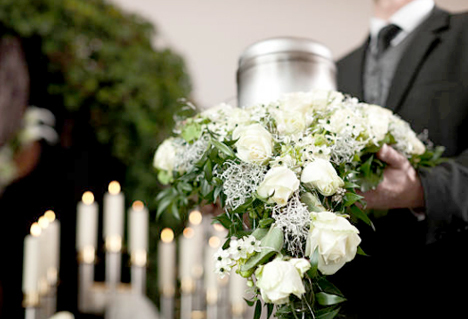 For those preferring cremation, we offer the only on-premise crematory in Fairfield County. Connecticut Crematory Corporation adds convenience, security and flexibility to your services, providing quicker turn around time to give families the ability to have more timely services should they so desire; also with the added comfort of knowing that your loved one never leaves our care, or knowing they have been brought to a public crematory in Bridgeport, Westchester or Clinton, CT.
Our showroom features a selection of partial displays for a non-intimidating experience. 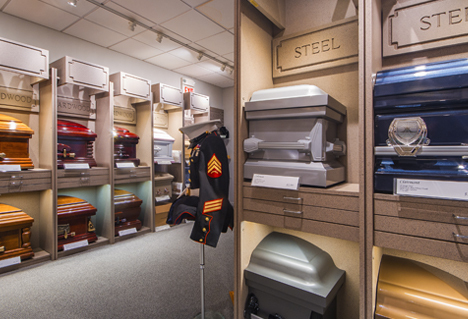 We strive to help our customers feel comfortable when receiving friends and family during their time of loss. The lounge provides a welcome break to collect one’s thoughts or reminisce with others. Comfortable seating and a warm, inviting fireplace await visitors, and our staff will ensure that your guests are treated with the same hospitality you would extend in your own home. 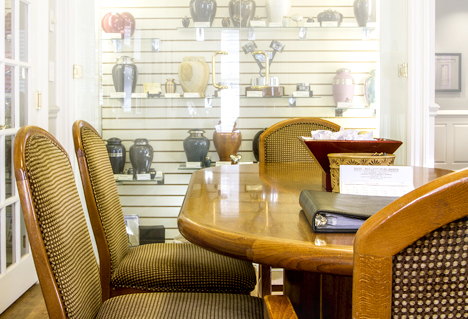 Our arrangement room is a warm and calm setting where family members can meet with one of our directors to discuss arrangements for a loved one. We have incorporated both old and new décor to suit the tastes of the many clients we serve. 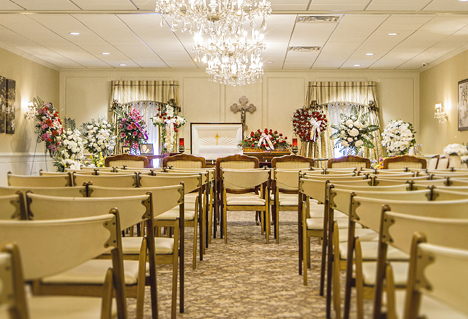 We are Stamford’s only funeral home with a dedicated room for the Jewish community to fulfill their customary religious needs. With a private, secured entry and 24-hour access, the Chevra Kadisha (religious volunteers) are free to perform their duties in private at their own convenience.